Australian coffee roasting and cafés exist in a highly competitive commoditised market. There’s very little ‘understood difference’ by customers beyond coffee format, café proximity and style. 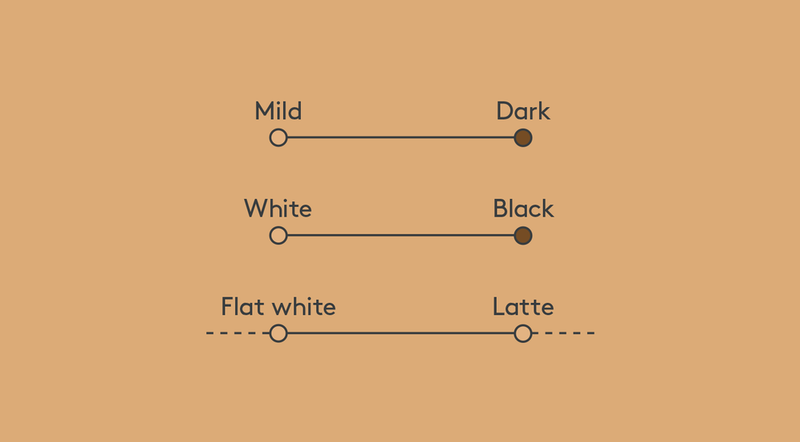 We felt this idea could change the industry by helping customers see more clearly what they like about their favourite coffee. 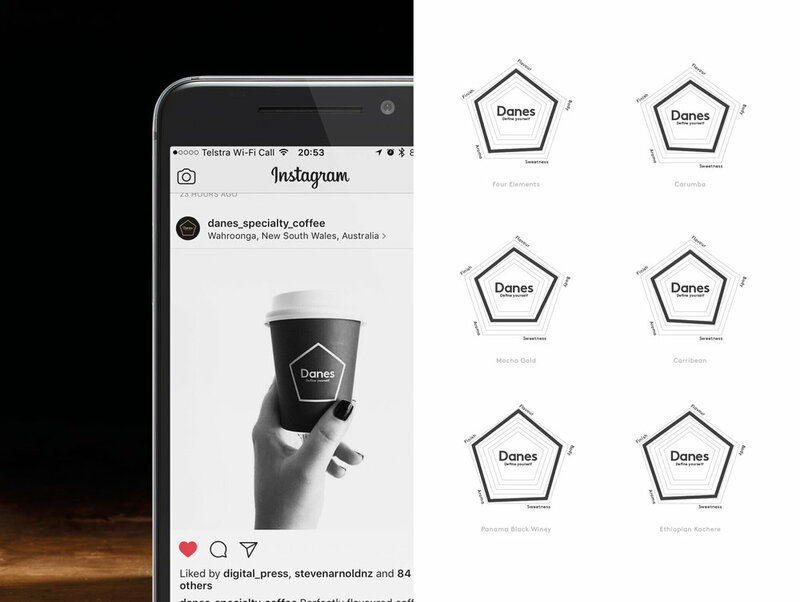 The new identity provided a way to explain the things Danes cares about in a way that was immediately beneficial to all coffee drinkers. A fantastic business hidden behind design that isn't strategic nor differentiated. The identity provided a way to explain the things they care about in a way that was immediately beneficial to their customers. Danes R&D teams provided an exacting recipe for the barista to measure their craft and process against. 'Define Yourself' Each card holder has their favourite coffee's flavour profile. Backed by 20 years of training and R&D, Danes Specialty Coffee now realised they were ready to be seen. This transformation provided the opportunity to show what was known on the inside, by too few — now outside, where everyone could benefit. Education, Innovation and Sharing were at the heart of the brand, just unsaid. We wanted to deliver our target customer a comfortable and ‘consciously analogue’ mid-century modernist feel as a break from our digitally connected lives, and the plethora of 1800’s industrial style cafes. The iconic blend of technology and craft of that era paralleled in the process of creating an intensely flavourful espresso from an un-roasted bean. This expertise and insight provided access to a high level of measurement and precision that we leveraged visually across the brand touchpoints. Each one seen as a way to share knowledge and offer the customer greater choice and a power to decide. Our desire is that customers will feel good, learn more — enabling them to be choose better. This project was an opportunity to place the brand purpose at the core of the business and have it lead and simplify all decision making across the business.